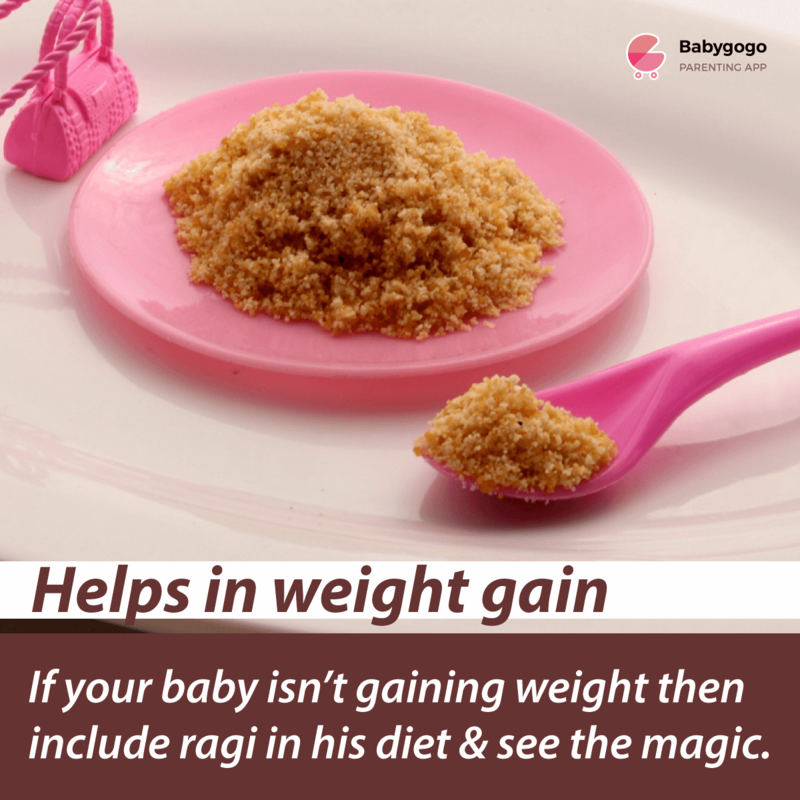 Ragi is the best ingredient in your baby’s plate. Ragi is known as “Finger Millet” in English. While it is also known as Bhakri (भाकरी in Marathi), Ragi is a popular food in southern Karnataka. It is good for babies as well as adults. 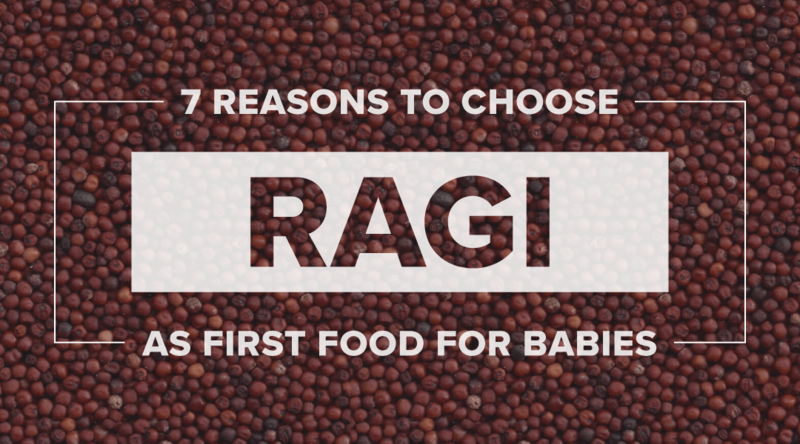 Today we will see why is this grain so popular and explore – What are the benefits of Ragi for babies. 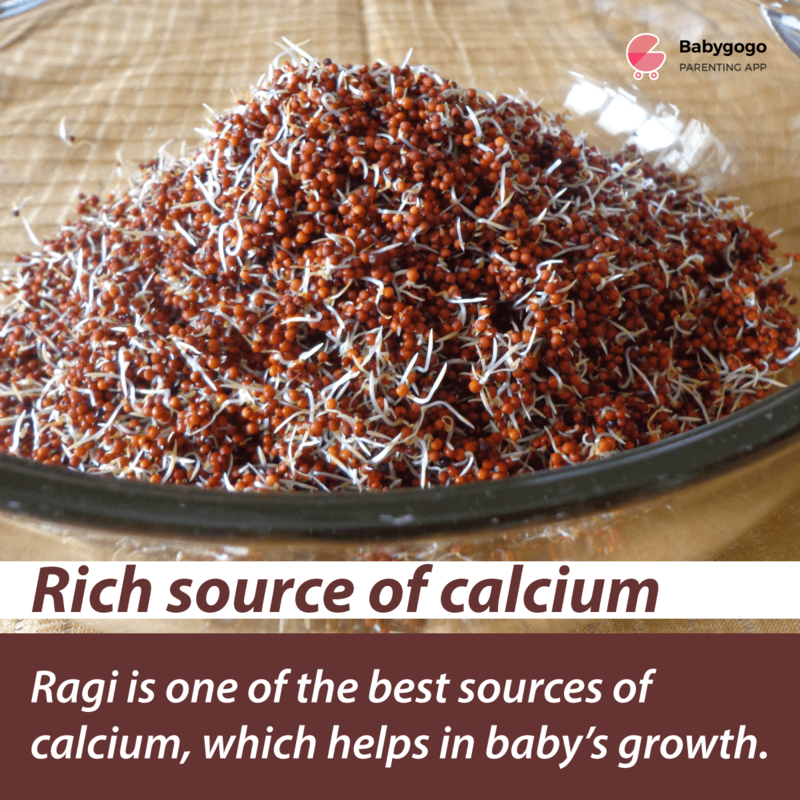 Ragi is a powerhouse many nutrients and essential elements for baby’s good health. This finger millet is responsible for a healthy metabolism which promotes the growth of a baby. 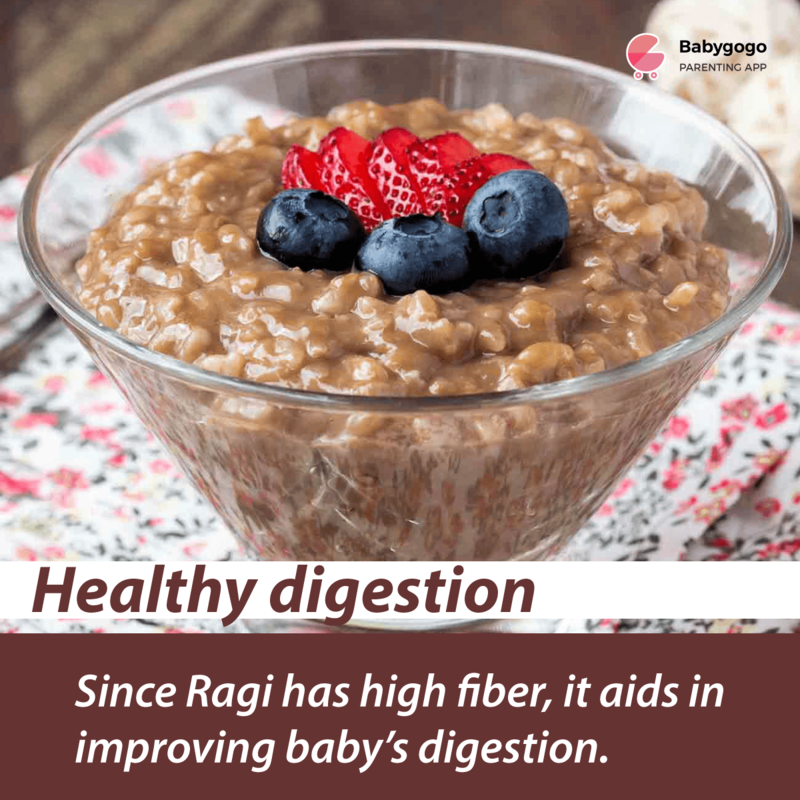 Below we highlight many more benefits of ragi which will make you consider Ragi as an important part of baby’s diet. Being a good source of proteins Ragi helps in muscle formation in babies. For growth and development of babies protein is a must have and Ragi serves it best. 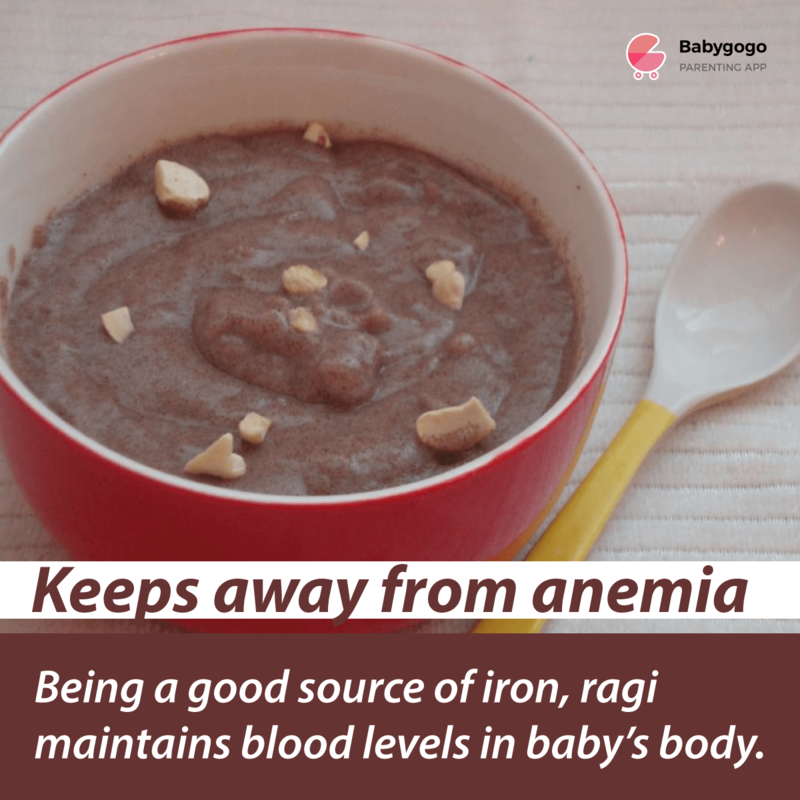 Ragi is a very light meal for your baby. Less in cereal fat and high fiber content is ideal for baby’s diet. 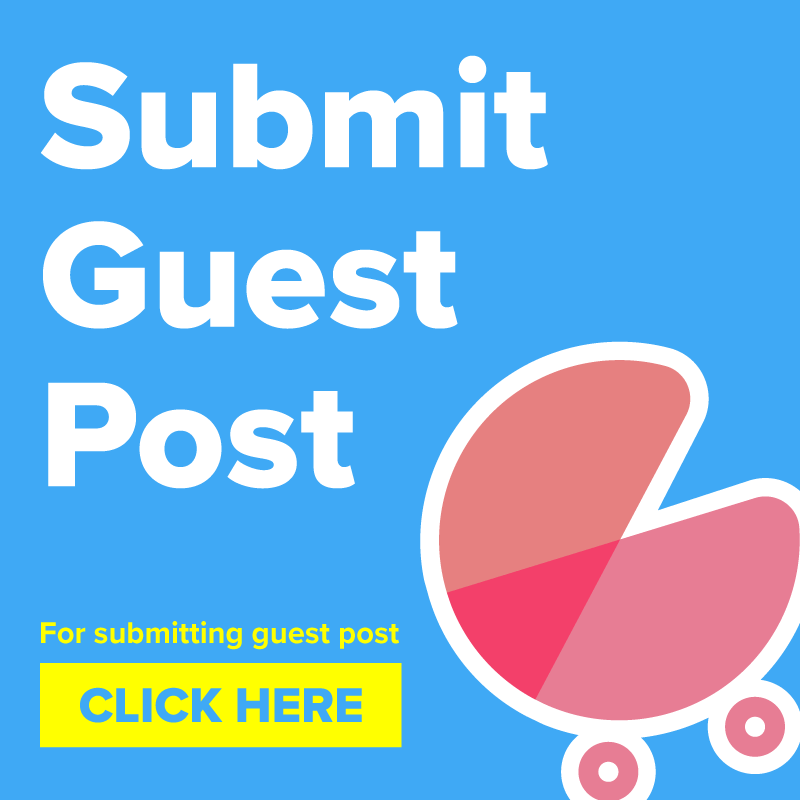 It fills the tummy quickly and your little one’s tummy can digest it without much hassle. Ragi is a friendly cereal as it can be combined with most veggies and cooks in little time. Some good options for ragi dishes are Ragi porridge, Ragi and apple halwa, Ragi dosa/Cheela and much more. 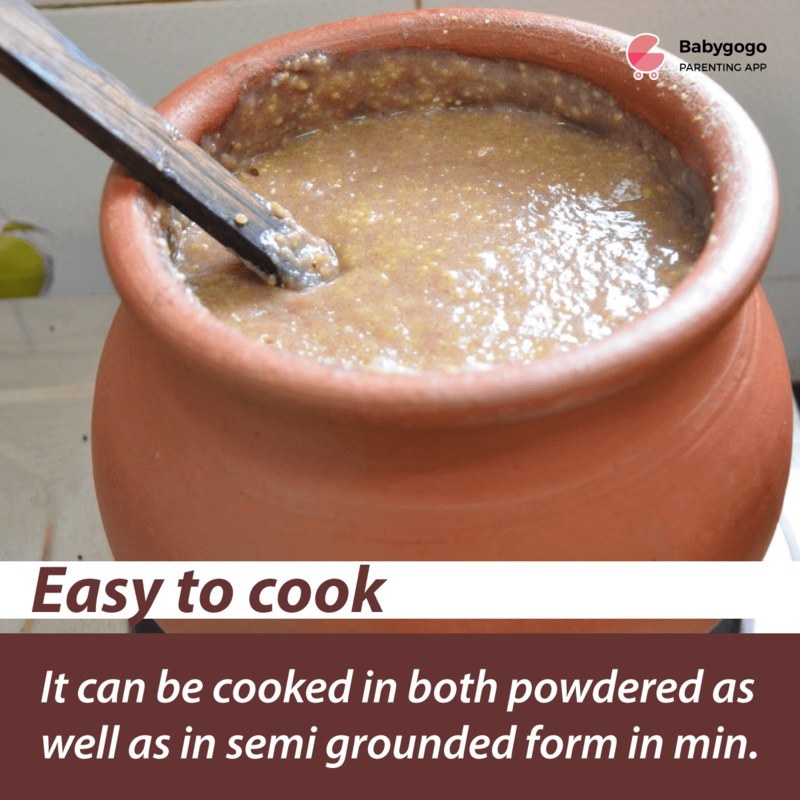 Dishes made from ragi are easy to make and will be liked by a baby. 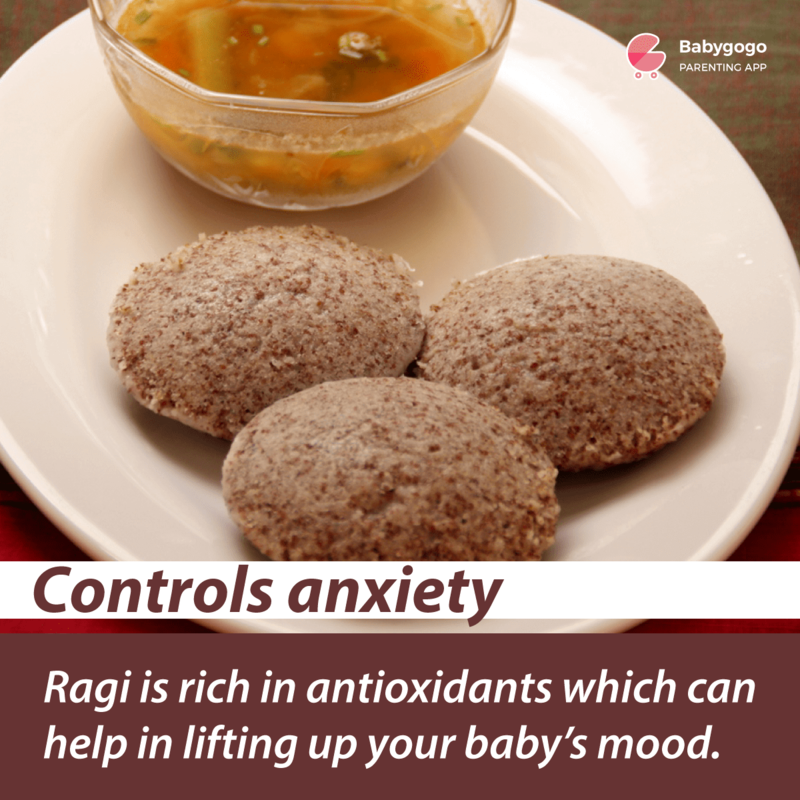 If your baby is fussy then Ragi can prove helpful to ease his anxiety and mood. It has shown good results in improving sleep in babies and comforts them. 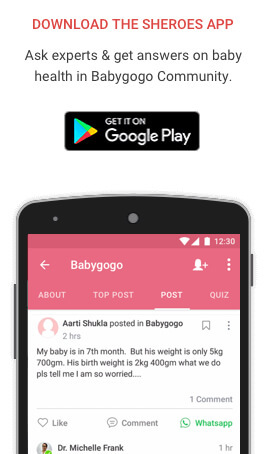 If baby feeds on ragi porridge regularly there are no chances that he will suffer from diseases of bones. No other cereal can match Ragi in its calcium content. Calcium is responsible for healthy bone development in babies and growing children. Ragi has high fiber content. The fiber helps to promote good digestion in your little one’s tummy. Not only does it keep digestion healthy but also maintains water levels in baby’s body. Ragi promotes healthy bowel movements and prevents constipation. Ragi is the natural source of Iron. Iron helps to battle anemia. If sprouted Ragi is given to baby it provides Vitamin C too which increases Iron absorption in the body. This combination of Vitamin C and Iron is essential for growing baby for maintaining the right levels of hemoglobin. My baby is 2 years old and I live in Bangladesh, ragi is unknown food here, not also available. fb r ai page gele ragi paben. When to start ragi for bsbes.6 months or 1 year?